Psoriasis is the most common autoimmune disease in the United States. It affects 2% to 3% of the entire population. Psoriasis is not just a dermatologic disorder. It is a disorder that affects the entire human body. Dermatologists get the credit for treating it because there’s a lot of manifestations involving the skin, such as red, scaly, painful, itchy plaques that can affect all aspects of the skin’s surface area, including the scalp, arms, torso, legs, and even the genitalia. What a lot of people forget is that since psoriasis is not just a dermatologic disorder, but rather a systemic autoimmune disease, these immune cells are also capable of attacking the joints and destroying the joints leading to destructive disease that can affect the ability to ambulate, or even perform everyday activities, and certainly affect individual quality of life. There’s a whole range of treatment options for psoriasis and, basically, we custom tailor the treatment regimen based on the type of psoriasis and how severe it is in every individual. For the most part, we’re very fortunate that we can treat most forms of psoriasis with topical steroids, vitamin A, vitamin D derivatives. When the psoriasis becomes more significant, more symptomatic, more painful, more itchy, systemic options come into the play. What qualifies as systemic options include ultraviolet light, including our narrow-band UVB laser, as well as oral drugs, and biologic drugs. And the beauty of these systemic drugs, whether they be oral or systemic, is that they can be target-specific and address the parts of the immune system that are causing psoriasis. And, in so doing, help to not only reduce the skin symptoms, but also disease activity with the joints, and once again help to possibly reduce long-term risk of heart attack and stroke that can be induced by the chronic inflammation in psoriatic patients. There are a lot of drugs in the pipeline for psoriasis. I, myself, stay very active in the field of psoriasis research, which I like to carry over to the providers in our practice. I feel that our providers are the most knowledgeable of any office in the state of Arizona when it comes to dermatology providers when it comes to the understanding of the myriad of treatment options for psoriasis. 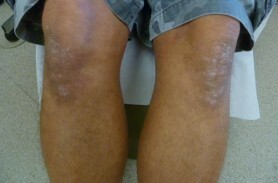 Plaque psoriasis (most common): raised, thickened patches of red skin covered with silvery-white scales. Erythrodermic psoriasis: intense redness and swelling of a large part of the skin surface. Guttate psoriasis: small, tear-drop like lesions. 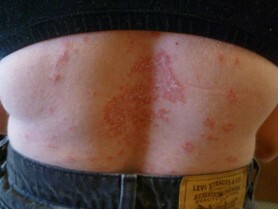 Inverse psoriasis: smooth red lesions in the folds of the skin. There are many treatments for psoriasis depending on the type and severity of the symptoms. Read about some of the psoriasis treatment options that Arizona Dermatology offers below, and schedule an appointment to find the best treatment option for you. A light corticosteroid can be injected into unsightly psoriasis plaques by one of our board certified dermatologists for quick healing. The chemical injection works to reduce inflammation and size of plaque. Biologic therapy treatments work on the immune system to block proteins that contribute to the psoriasis disease process. Biologics are made from living organisms and have proven to successfully treat psoriasis for those who haven’t had much success with other treatments options. Biologic medication is used for moderate and severe psoriasis and is offered as a simple injection or by intravenous (IV) infusion. By doing so, biologic therapy reduces the major effects of psoriasis or psoriatic arthritis such as swelling and inflammation. Phototherapy encompasses a range of treatments that use ultraviolent light to slow the rapid growth of new skin cells caused by psoriasis. We offer two types of phototherapy treatments to help reduce the symptoms and manage your psoriasis efficiently. All treatments must be performed regularly in our office to receive the best possible results. 1. Ultraviolet Light B (UVB) - The Ultraviolent B treatment is a light source that enters the skin and effectively slows the growth of cells caused by psoriasis. The light source is delivered as short wave ultra-radiations and can treat multiple areas of the body. Increasing the doses of this treatment can lead to faster results, but may cause the area to discolor and slightly itch for a short period of time. 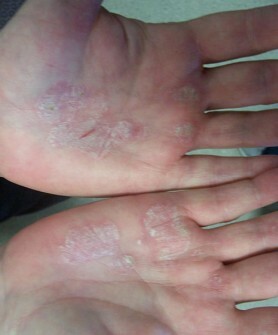 The UVB treatment is performed on people with moderate to severe psoriasis. Take the first step to removing your symptoms of psoriasis by scheduling a consultation and learning how the UVB treatment can help you. 2. The Psoralen + UVA treatment encompasses two light sources that are present in the natural sunlight. Psoralen is a light sensitizing medication taken orally in addition to the UVA light source. 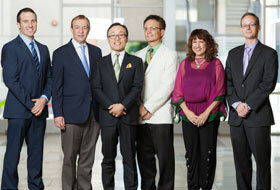 Unlike UVB, UVA delivers successful results for psoriasis when matched with Psoralen. Together, referred to as PUVA, the two treatments slow down the overproduction of skin cells and relieve patients from the effects of psoriasis. PUVA treatments must be performed in our office on a set schedule in order to reach the best possible results. This treatment option may be just what you need to put a stop to the effects of psoriasis and enjoy healthy skin at last.